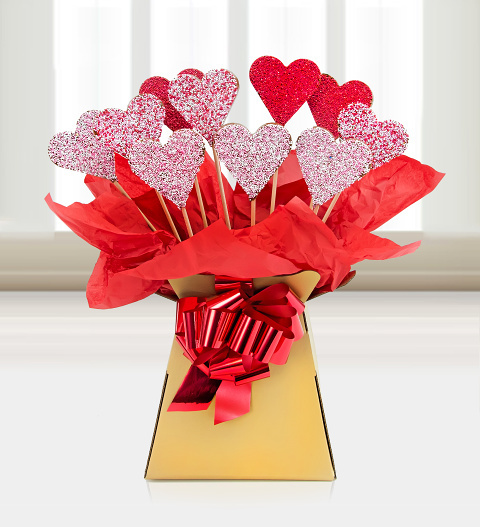 A wonderfully chocolate bouquet that will appeal to the recipient&apos;s sweet tooth and sentiments. We have arranged 10 beautifully decorated chocolate heart lollies in a decorative box for the perfect presentation. Send this gift for any special ccasion and show them just how much you care.